With a new beginning on the horizon for Olivia and Ash, what could possibly stop them from finding their happily-ever-after? In the midst of joy, this blended family finds they have to trust in love and family bonds to get them through what is coming next...or self-destruct. 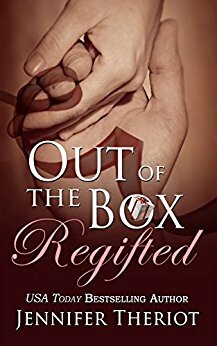 Follow Olivia Petersen on this next chapter of her journey as a regifted woman and watch as she discards the meek, obedient wife role and morphs into a free spirited, determined woman who commands respect from those in her life. Can she maintain the courage to seek what she needs to be free from the past, while hanging on to the future Ash offers?